At check out, be sure to check lowered shipping rates to the US via USPS Media Mail option. Please note that the cover showing is not the cover of the actual box set. Click on the image to see a layout showing all components of the box as well as the actual cover. 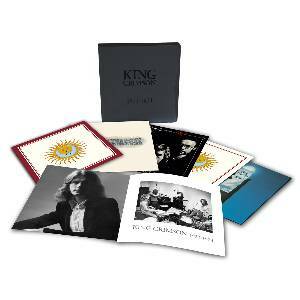 •	Finally on vinyl, the King Crimson 40th anniversary albums mixed and produced by Steven Wilson and Robert Fripp. 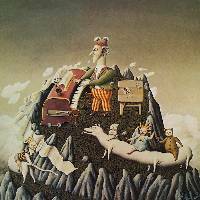 •	The set also contains a full sized 24 pages photographic booklet of the band during the period plus a poster of the King Crimson album art as it originally featured in “The Young Person’s Guide to King Crimson” – the band’s first, 1975 issued compilation.